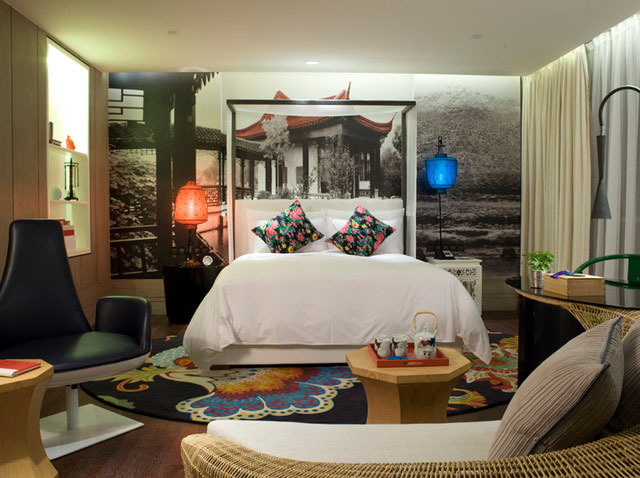 The Hotel Indigo Shanghai on the Bund in China features elegant and eclectic interior design by Hirsch Bedner Associates. 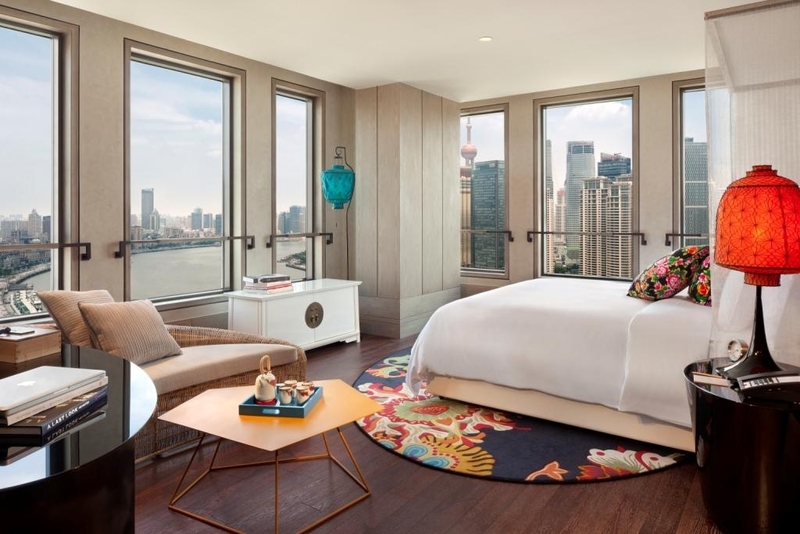 The design is about connecting the hotel to its surrounding environment — one that is anchored by the Huangpu River and its influence on commerce. It is also where the old and the new converge. The contemporary rooms are decorated with antique furniture inspired by historic Shanghai. The traditional details and contemporary elements are perfectly balanced, respecting history without being overwhelmed by it.